Category Archives: Calling all Snoochie Shoppers! General store announcements – this means you! Hey Snoochers, so its been a little while, and we’re sorry for our absence but as you may have seen on Twitter we’ve been working super hard to set up our sister site The Reel Deal. Now we are back! 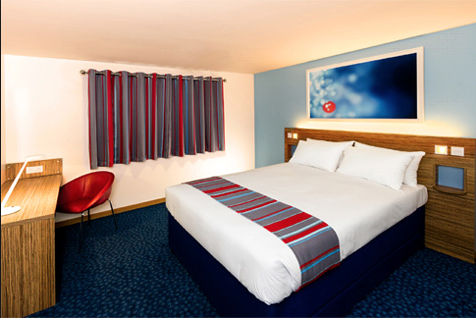 And kicking off a brand new load of fun lifestyle content just for you with our very first review for the brand new refurbished Travelodge Hotels. We sent Becks to the heart of Theatreland in London to spend a night at the Covent Garden hotel to see what its got to offer… and she even did this very kind video review just for us! So we hope you’ve got a good idea of what its like to stay in one of these very convenient and affordable hotels (rooms start from £29, our recommendation is that you sort out your booking online). To be fair, you’re going to spend most of your time outside of the hotel, exploring the great cities they’re based in, so why pay through the roof for a bed! It gets a big thumbs up from us! Posted in Bargain Basement, Calling all Snoochie Shoppers! Its that time of the week where we say a huge bonsoir, bienvenue, and welcome to the weekend! What better way to spend it than down your local multiplex, so make sure you check out our friends at The Reel Deal as they give you the run down of what’s hot to trot at the cinema this weekend! If you’re keen on seeing more content from this lovely love (and if you love films we thoroughly suggest you do!) Then make sure you subscribe to The Reel Deal film channel, where you can get other content like this! There’s lots of exciting stuff coming from The Reel Deal in the next few weeks, so make sure you stay tuned and follow them on Twitter! Posted in Calling all Snoochie Shoppers! 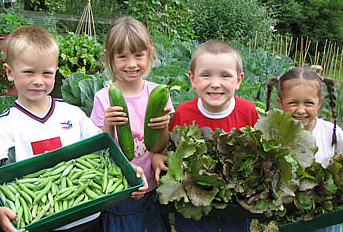 With more school gardening clubs popping up in and around the country, kids gardening kits could mean big business, and if we help inspire a new mini Titchmarsh then thats not such a bad things…. or is it? 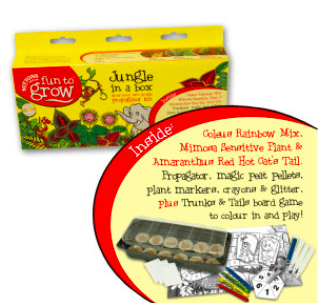 Well anyway, lets make gardening cool from the youngest to the oldest member of your family. Give them one of these and get everyone excited about our great British summer ahead. What are you waiting for? Film Fans, and movie maniacs you need to head to your local cinema this weekend to see the hottest films around. If you’re after Tom Hiddleston as a blood thirsty vampire, or Shia laBeouf wearing far less than a paper bag, well its all here in one bite size package just for you and courtesy of our friends at The Reel Deal. So watch our resident film critic take you through whats hot on the big screen this week. Its a corker! 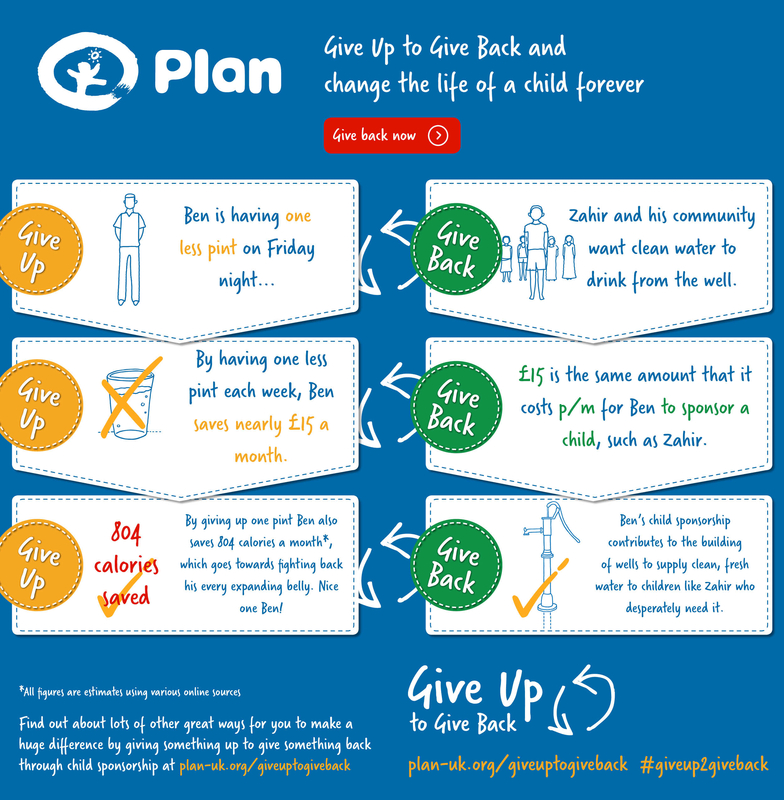 What would you #GiveUp2GiveBack and help @planuk improve the lives of children in desperate need? Don’t beat yourself up though. It can be tough to make big changes to your life, and sometimes making a small change can be more sustainable and have a surprisingly big impact. That’s the idea behind Plan UK’s new campaign Give Up To Give Back. If you don’t know about them, Plan UK is a global charity that works around the world to help improve the lives of some of the most disadvantaged children. We’re talking about kids who have no access to clean drinking water, no schools, no hospitals and those affected by disasters like the recent typhoon in the Philippines. Plan UK get their hands dirty at the ground level to provide resources, help train and educate people and build vital infrastructure to improve entire communities. Most people want to give to charity, but somehow the financial aspect of a monthly donation seems a bit scary in this day and age, so they’ll flick a few coins in a collection bucket and leave it at that. But what if by giving up something for a renewed New Year’s resolution, something small, something that would help improve your life, you then gave that money back as a child sponsor? Not only would you see your belly shrink a bit, but you could help someone who really, really needs it. See. You don’t have to go all-or-nothing to make a difference. Would you really notice one less pint on a Saturday night? Not there and then, but over the course of a month you’ll feel better for it and that money will have a monumental effect on a child’s life. What’s even better is that when you sponsor a child the money doesn’t just go to helping them, a further 55 kids will benefit directly from your money. So don’t sweep your broken New Year’s resolutions under the rug. Instead of going large, go small and #GiveUp2GiveBack. Get up, get out of your seat and move to a slightly more comfy one laced with red velvet and beautifully moulded bum imprints. Yep you guessed it, its one of the cheapest and historically romantic places to go on a date. Watch out though, the back row may be a little full! 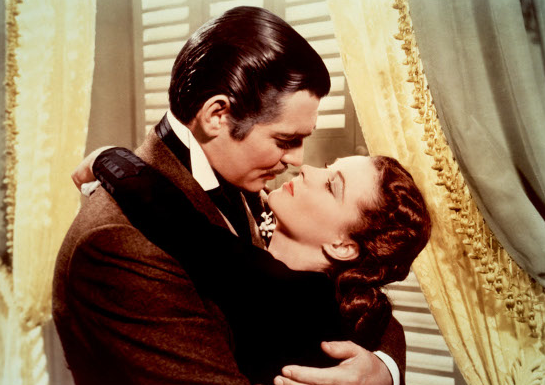 On Valentines day the cream of the romantic movie crop hits cinemas and 2014 is no exception. Today of all days has some movie lovers magic just for you, whether you’re up with a dynamic dance film (well sort of) or lonely and needing some solace in future technology, or just after some good nostalgic fun then we can guarantee there there are some top choices ready and waiting for you! 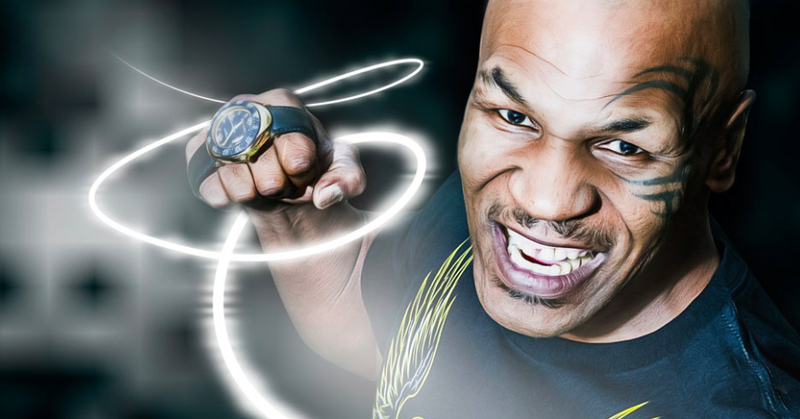 If you’ve heard of the brand Holler Watches you’ll know that Mike Tysons face dominates some of the its clever marketing campaigns, with his distinct facial tattoos you know expect that this brand of stylish, hip hop inspired watches will pack a punch too. When invited to meet the founder and owner Darren McCormick we half expected to be meeting Tyson times two, and were slightly intimidated by the thought. However, we couldn’t be more wrong. Who we ended up sitting opposite at the table was a very unassuming, softly spoken, clever man with a slightly northern twang, how refreshing! Quite different is Nikki Lissoni, a softer, more elegant brand, something that has a much more subtle and worn by the likes of Nicole Scherzinger and the Made in Chelsea lot. Both aiming to be hugely successful in their own right, its clear that Darren McCormick knows how to find a diamond in the rough idea and make it a money spinner. I love the idea of Holler tell me more! 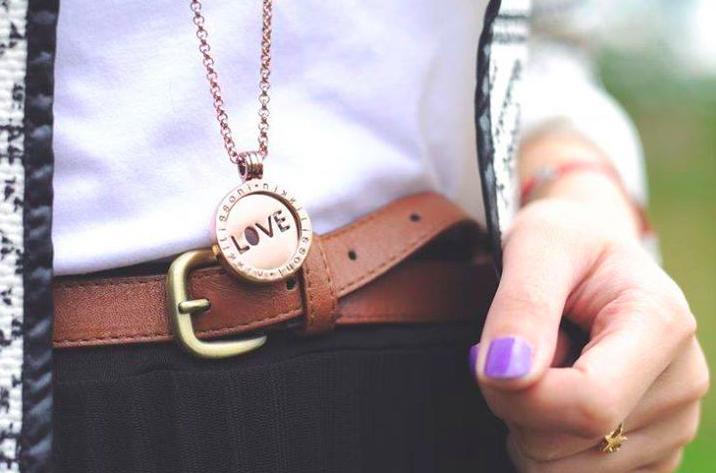 Well it’s a unique lifestyle brand which brings together a compilation of northern soul inspired designs and something very unique for the UK marketplace. Holler isn’t just about watches, its about caps, t-shirts, and sunglasses – we like to think of it as being one of those slices of American pie, bringing the bling from across the pond and one day becoming just as popular as those developed by leading music artists in the US. The idea behind Hollar is that you buy into it as a whole, which is a great concept and it is quite easy to see by its unique designs and funky colouring why it could very easily become the next big trend in watches and fashion, so watch this space. Well if Holler was born out of his passion for music and fashion, then Nikki Lissoni could be set to follow in the footsteps of Pandora and become the next female fad. 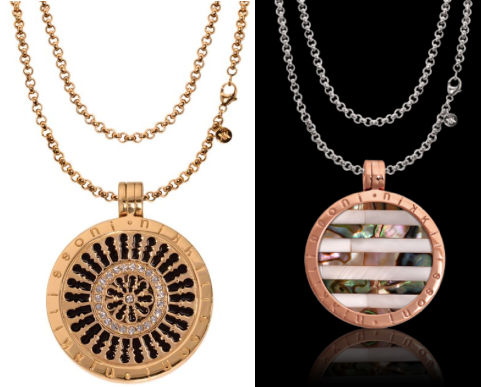 The European fashion capitals saw this gorgeous collection of medallion based jewellery, which combines a mystical backstory with contemporary design and took to it like a duck to water, hailing it as ‘revamped retro’ and perhaps the next big trend to follow on from Pandora. 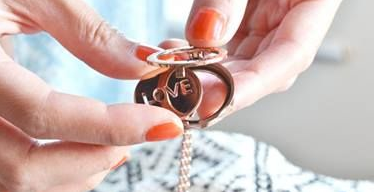 Bottom line is that both these brands are set to make big business in 2014 both in the UK and abroad, so if you’re looking to give something very special to a loved one this Valentines day, then get ahead of the trends and say it with a piece of jewellery. You can find out more information on both the Holler and Nikki Lissoni brands here.